Presented in easy to read in "bite size chunks" with plenty of practical examples, this book shows you how to manage your files, disks and the hardware system, and shows you tips and tricks for saving time and effort. 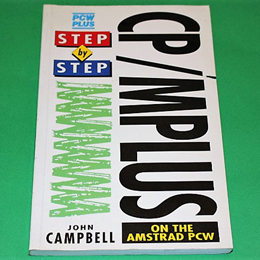 A great litle book for getting the most out of CP/M PLus and your PCW. A 178 page paperback in excellent condition.